"Green is a colour of calmness and relaxation." Plants at home can brighten up your mood, relieve anxiety, reduce stress levels and also purify the air. 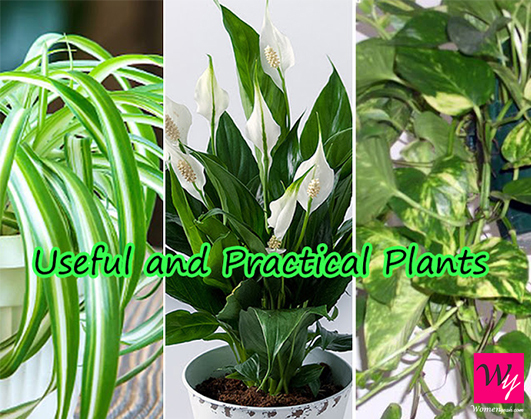 The right houseplant can add to the indoor environment, ambience, and beauty. Aloe plant has a number a uses. The gel can be used to soothe skin burns and cuts. Some of the disinfectants that are used at home contain harmful chemicals that cause breathing problems. Such chemicals are removed by this plant thus, cleaning the air. 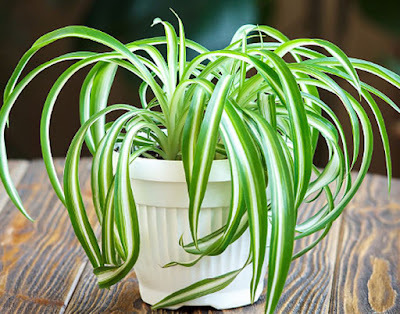 Chlorophytum comosum, commonly called a spider plant or ribbon plant thrives even when neglected. This plant is capable of removing toxic gases like Benzene, Carbon monoxide, Formaldehyde and Xylene from the air. Epipremrum aureum, commonly known as golden pothos or money plant in Indian subcontinent thrives even in drought conditions. 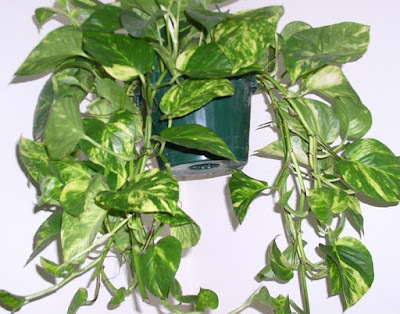 Golden pothos is a creeper and is very attractive. 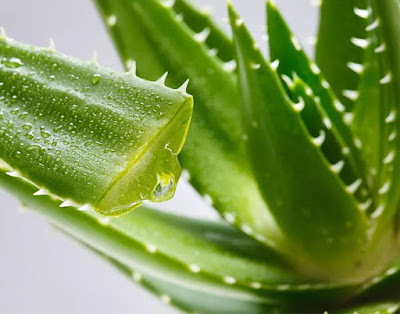 This plant purifies the air and releases much higher levels of oxygen than previously mentioned plants. 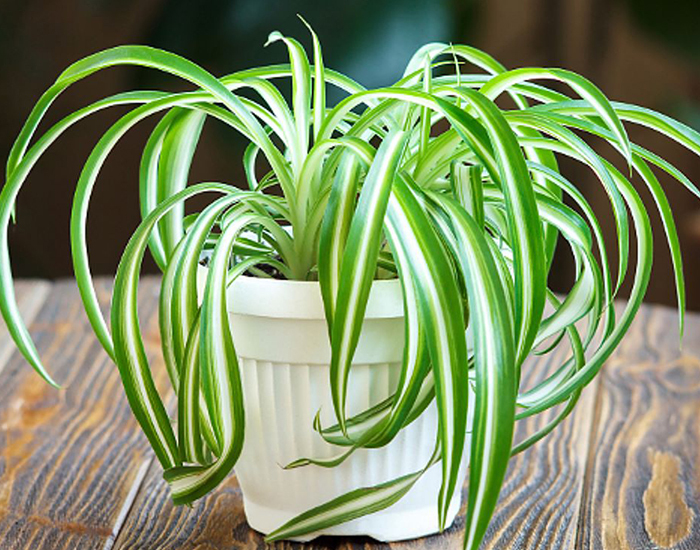 This plant requires a lot of humidity and sunlight, but over-watering can cause rotting. 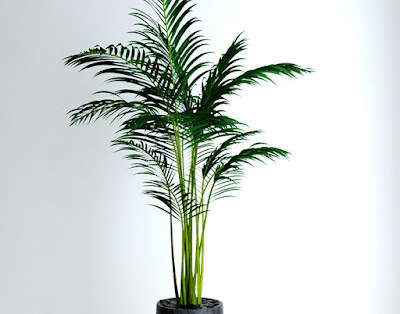 Bamboo palms are different from true bamboos and these plants reduce the levels of airborne formaldehyde that is released by new furniture. The additional advantage is it is not toxic to pets. 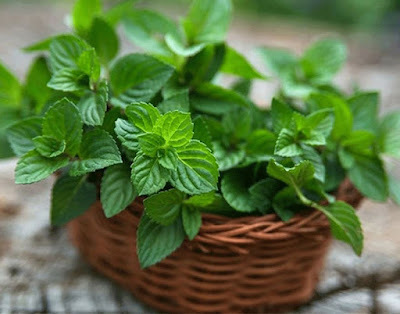 Spearmint (Mentha spicata) commonly called a Garden mint is native to Europe and Asia. Mint leaves are aromatic in nature, so they repel insects and bugs along with producing a pleasant smell. Also, mint can be used for cooking purposes such as in iced tea and other beverages. 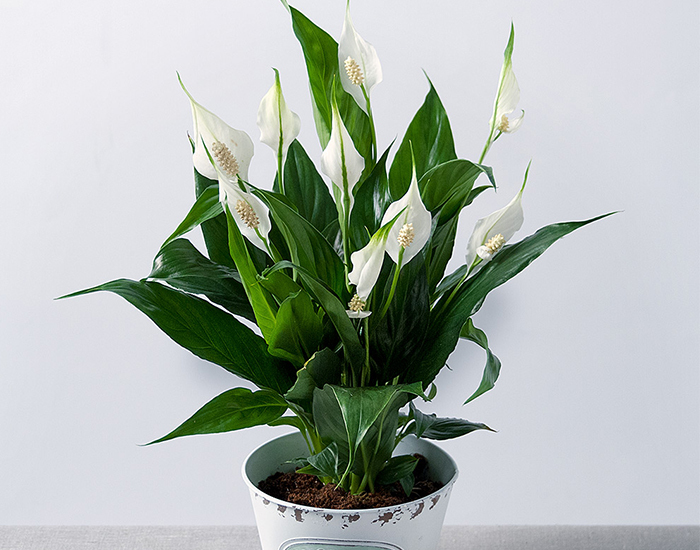 Spathiphyllum, commonly called as peace Lily is a low maintenance plant that grows well in shade. Peace Lily can reduce the levels of toxins in the air. 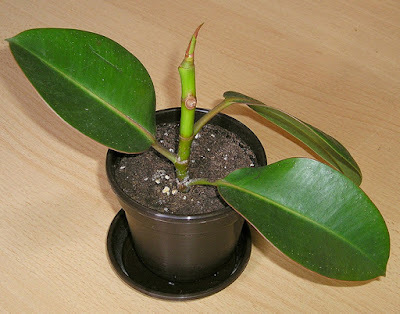 Rubber plant, Ficus Elastica grows well in bright and moist places. 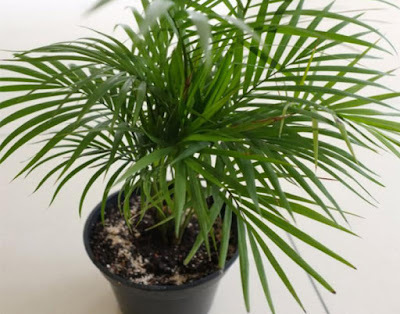 The plant has attractive broad foliage that cleans indoor air. This plant is relatively disease free. But be careful with pets and children as they are allergic to the milky sap. This plant looks exotic and elegant. It gives a tropical look for your home. This plant is featured on NASA’s list of air purifying plants. Areca palm removes benzene, formaldehyde and carbon tetrachloride from the air and adds humidity to it. Like rubber plant, this plant rarely suffers from pests and diseases.